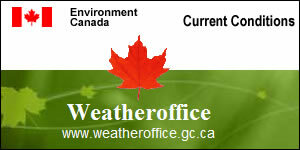 The Canadian Weather at a Glance weather map is produced daily by Environment Canada. Analysing and forecasting the weather, using numerical models, requires an impressive amount of computing and data processing power. The process which leads to the production of a forecast can be seen as an endless cycle of data ingestion and analysis. Twice a day, the analysis serves as the starting point upon which atmospheric numerical models base their predictions. 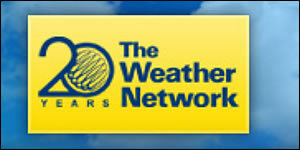 The Weather Network is one of the best weather and weather-related content and information provider in Canada. They follow these guiding principles to be the very best in the weather category: focus, competitive advantage, teamwork, win-win relationships and control over our destiny. By continuing to focus on the unique integration of creativity, science and technology, The Weather Network, and its French counterpart, MétéoMédia plan to lead the weather business in Canada for many years to come. 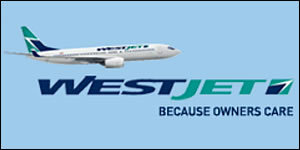 The caring and dedicated nature of our people is what makes WestJet a different kind of airline. We have seen a lot of changes and growth since we took to the skies in 1996. One thing that has not changed is our commitment to providing safe, friendly and affordable air travel. Safety is a core value at WestJet and our exceptional guest service begins with the safety of our crews and our guests. If you haven't had an opportunity to travel with us, I invite you to discover what our loyal guests already know: we go to great lengths to offer an outstanding travel experience. 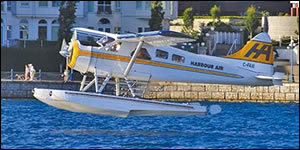 Harbour Air expanded to provide scheduled services between Vancouver, the Gulf Islands, and Vancouver Island. Today, celebrating over 25 years, and more than 30 aircraft, Harbour Air has become the largest all-seaplane company in the world. Our services include regularly scheduled flights that connect Vancouver, Victoria, Nanaimo, Richmond, Langley and the Gulf Islands. Private charters are also available to take you to anywhere you want to go in spectacular British Columbia. Now offering accommodations and attractions on the Olympic Peninsula and Vancouver Island! Explore our photo gallery, visit our interactive map, and check out our exciting travel packages! 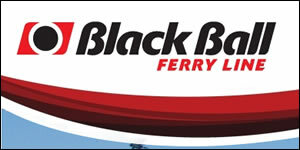 Providing a scenic passage, linking Vancouver Island and the Olympic Peninsula, Black Ball Ferry Line is a vehicle and passenger ferry, providing year round daily service. We are thrilled to invite you on board our ship! 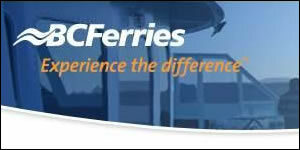 BC Ferries vessels serve up to 47 ports of call throughout coastal British Columbia. Each of these ports represents new things to see and do while touring our beautiful part of the world. Follow this link to see the routes and schedules and to make reservations for you trip. The downtown office in Nanaimo is located at 33 Terminal Avenue. This location is close to the Departure Bay ferry terminal, Harbour Lynx and See plane terminals. 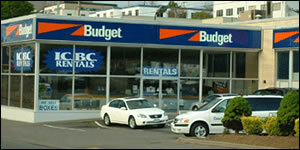 Click here for Car Rental specials . . . 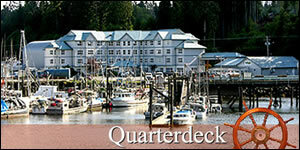 The Quarterdeck Resort and Marina located in Port Hardy British Columbia Canada is a full service three star Hotel, complete with marina, Pubstyle restaurant, Close to downtown and all tourism or business services in Port Hardy. Let us arrange the wilderness experience of a lifetime, from whale watching, grizzly bear tours, salmon fishing, eco tours, kayaking, diving, storm watching, or hiking to pristine beaches. 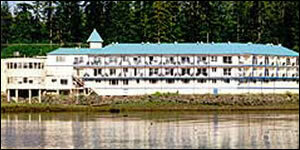 The waterfront Port Hardy hotel with modern deluxe hotel rooms and Banquet Rooms is situated on beautiful Northern Vancouver Island. 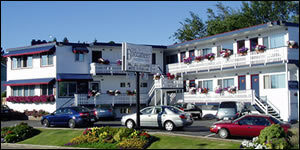 All rooms and suites face Hardy Bay and not far from downtown. We have specials, packages and discounts that are updated regularly, so make your reservations today. If you have any other questions please contact us. 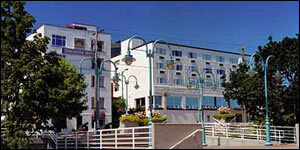 The Best Western Dorchester Nanaimo Hotel is conveniently located in the heart of downtown Nanaimo, overlooking picturesque Nanaimo Harbour. Our charming heritage boutique-style hotel is decorated in a style that blends old world class with all the modern conveniences to make your stay at this Nanaimo hotel a comfortable and memorable one! Dave, Marlene & Christopher welcome you to The Buccaneer Inn in Nanaimo on beautiful Vancouver Island. At The Buccaneer we offer a 'boutique motel' experience: the friendly, homey atmosphere and personal service of a B and B, the quality of a Hotel and the special amenities of a Boutique Hotel, all at Motel prices! We specialize in exceeding your expectations!